Migrating a Joomla site to our servers is a relatively easy process. It takes no more than an hour, if you have the database dump and the full directory backup of the Joomla website already downloaded to your local computer. 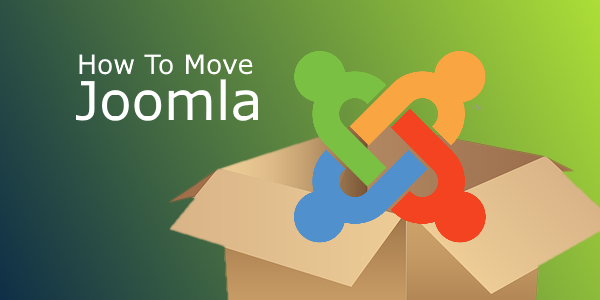 Follow the manual described below to migrate your Joomla installation to your hosting account with us. Extract the archive containing the Joomla installation in a separate folder on your computer. Make sure to keep the original directory structure of the archive. IMPORTANT: Skip this step if your files are not archived. Upload the files via FTP to your hosting account with us. Make sure to place them inside your domain folder. By default, this folder has the same name as your domain name (e.g. my-best-domain.com). To restore the database backup (dump file), navigate to the Site Management > MySQL Databases section of your Web Hosting Control Panel, find the database, which you want to use or create a new one and then click on the phpMyAdmin icon next to it or just click on your database''s name. phpMyAdmin will open - this is a visual web-based database management tool, which you can use to import your database. In phpMyAdmin, click on the icon in the left frame that says SQL - a pop-up window opens where you should select the Import tab, click on Browse to select your dump file and then click on Go to import the database. * $mosConfig_absolute_path: This is the absolute server path to your new Joomla! installation. It will probably look like "/path/to/joomla/installation". * $mosConfig_cachepath: This is the absolute server path to the cache of your Joomla! installation. It will probably look like "/path/to/joomla/installation/cache". * $mosConfig_live_site: This is your website''s URL. It will be something like http://www.my-best-domain.com. * $mosConfig_host: This is the location of the server that hosts your MySQL database. In most instances, this value will be "localhost". If you are unsure, ask your hosting provider. * $mosConfig_db: This is the name of your MySQL database. * $mosConfig_user: This is the database username. Make sure this user has all privileges on your database. * $mosConfig_password: This is the password for your MySQL database user. Once ready with the modifications to the configure.php file, save it and if you are using FTP, upload it to the server. This should be all. If you, however, experience any errors after completing the steps above, please feel free to contact our support technicians using the link at the bottom of this page. MasayaHost has a Joomla-specialized plan for only $3.95/mo!